FROM LEFT: Brian Baldizar, assistant principal, Classical High School; Thomas Flanagan, chief academic officer, Providence Public Schools; Zawadi J. Hawkins-Gladstone, principal, Dr. Jorge Alvarez High School; Seth Magaziner, R.I. General Treasurer; Edward O. “Ned” Handy III, chairman & CEO, The Washington Trust Co.; Christopher Coleman, principal, Mt. 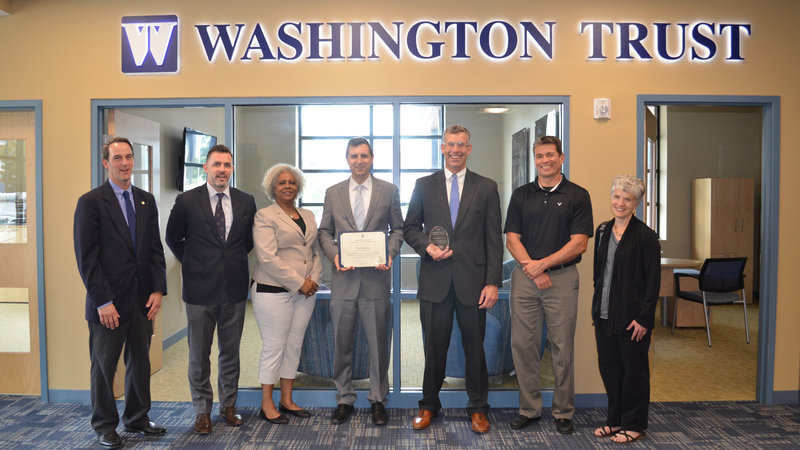 Pleasant High School; and Judy Fried, assistant principal, Providence Career and Technical Academy, mark the success of Washington Trust’s financial literacy program at the bank’s East Side of Providence branch. / COURTESY THE WASHINGTON TRUST CO.